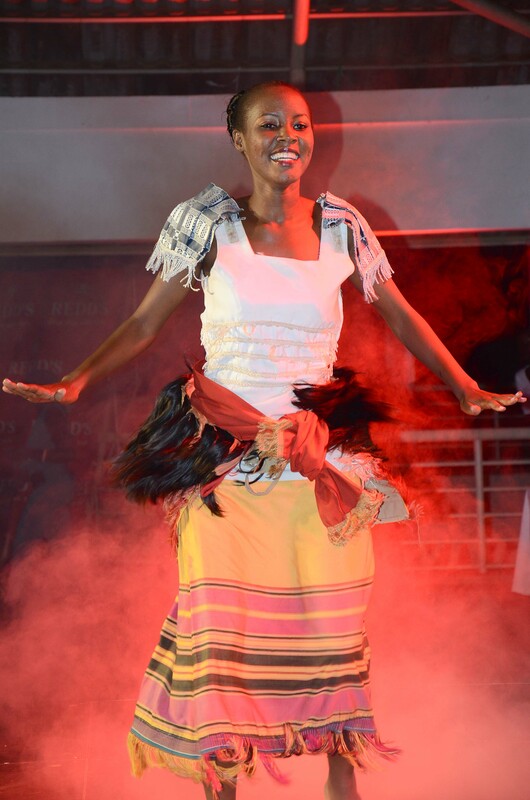 A dancer performs at the inaugural HiPipo Music Awards ceremony held yesterday (Feb 9, 2013) at Theatre Labonita. It was a night full of fun, surprises and lessons for the organizers. For some reason, I have always missed the Nile Gold Jazz Safari, which usually falls on days when I am upcountry or on other engagements. 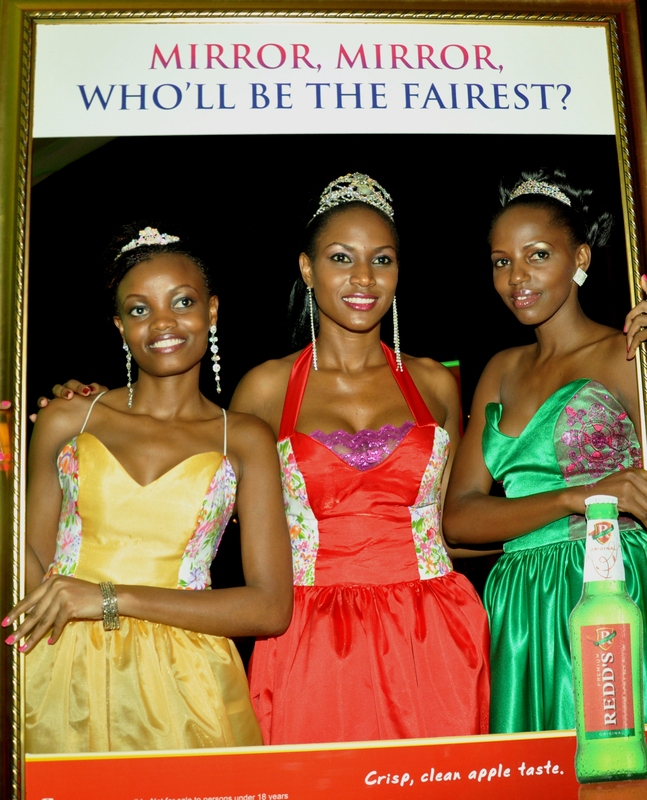 But this time I was more than determined to attend the annual concert happening for the fifth year at the Kampala Serena hotel last Friday. Finding parking space at 8:30 pm when I finally made it to Serena was another story. The hotel parking was already full, with the pavements outside the hotel fence also fully occupied. We were just lucky to find parking space near the lower gate opposite Crested towers. 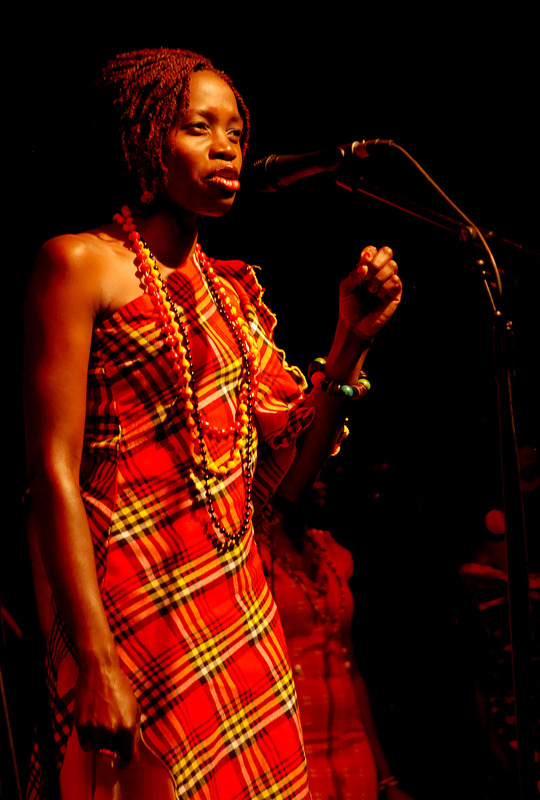 Jazz has gained popularity in Uganda in that the jazz safari is now a must-attend show on the music calendar. Arriving two and a half hours late meant we had missed out on the pre-show cocktail and art exhibition. Even the complimentary drinks in the foyer were about to dry up. Luckily, the main performances had not yet started, thanks to the several prizes that were being given out to lucky guests and the sponsors. As we searched for a seat in a fully-parked Victoria hall, the opening act of the night rolled. It was Kenyan Eddie Grey on the acoustic guitar. Nothing really spectacular captured my attention about Grey’s guitar skills as we settled down in the gallery, which was the only place you could find a seat. However, when he was joined by our own Michael Ouma, there was some life as they compared notes on Ouma’s signature tune, Flashback. 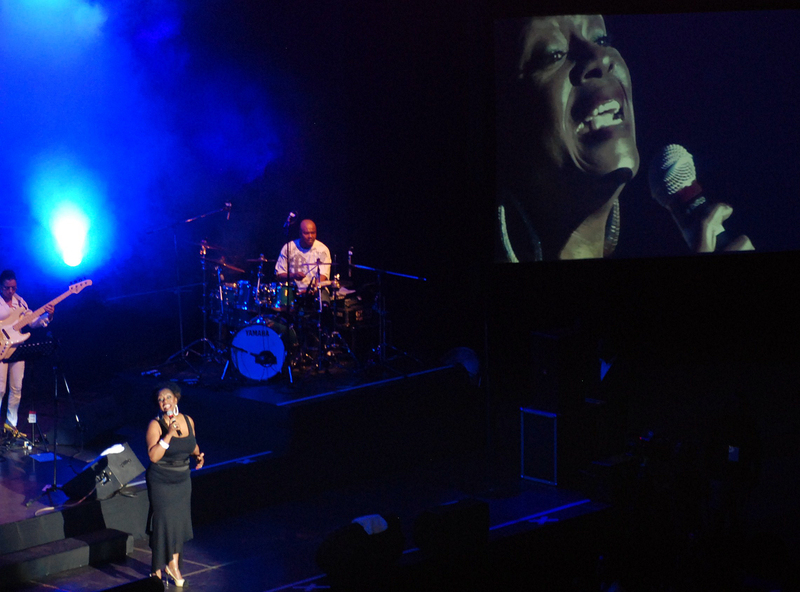 At 9:15pm, the long-awaited jazz maestros and headliners of the concert took to the stage amidst applause. 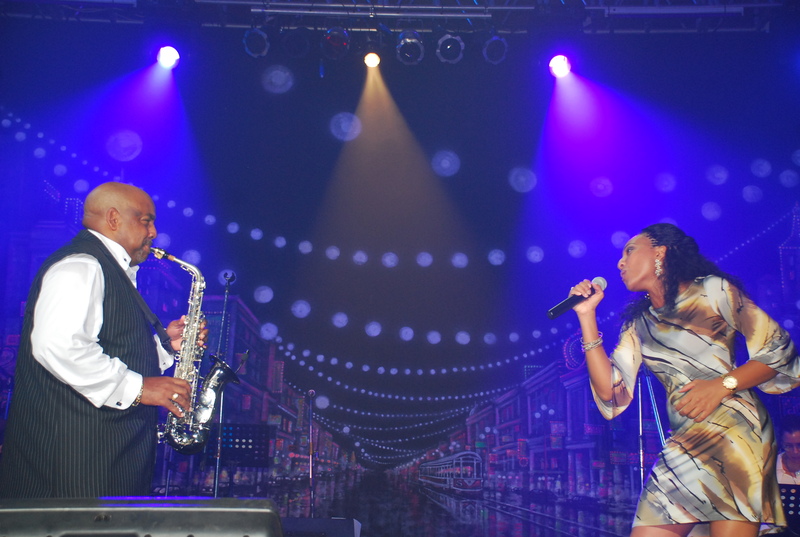 It was Gerald Albright, one of the most respected, multi-dimensional and sought-after saxophonists that magically weaves a fine tapestry of jazz and RnB, who was returning to Kampala for the third time. 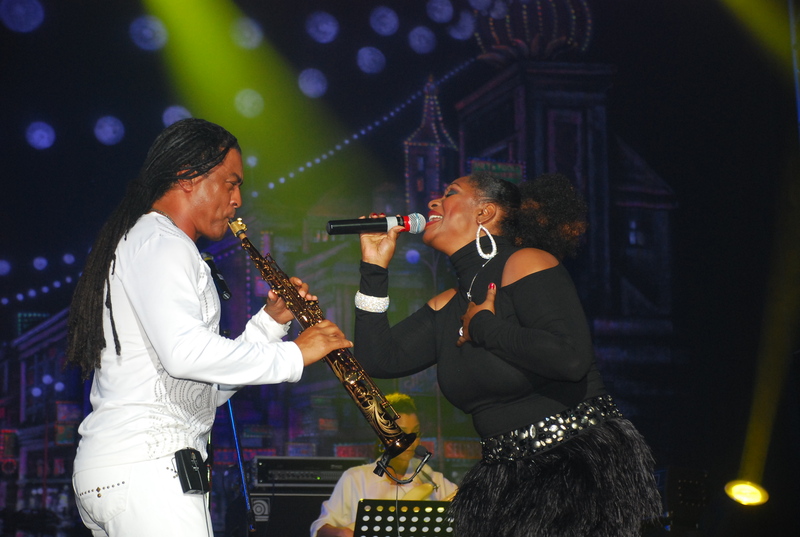 And to take this year’s concert a notch higher, Albright was beefed up with legendary smooth jazz saxophonist, Marion Meadows, and renowned vocalist Regina Belle. Clad in a black dress, Regina started off with a rendition of Whitney Houston’s Forever For The Love Of You before Albright took us to old skool with songs such as Michael Jackson’s Human Nature. Albright’s daughter, Selina Albright wowed guests with her vocal virtuosity on her idol Whitney Houston’s Saving All My Love For You. 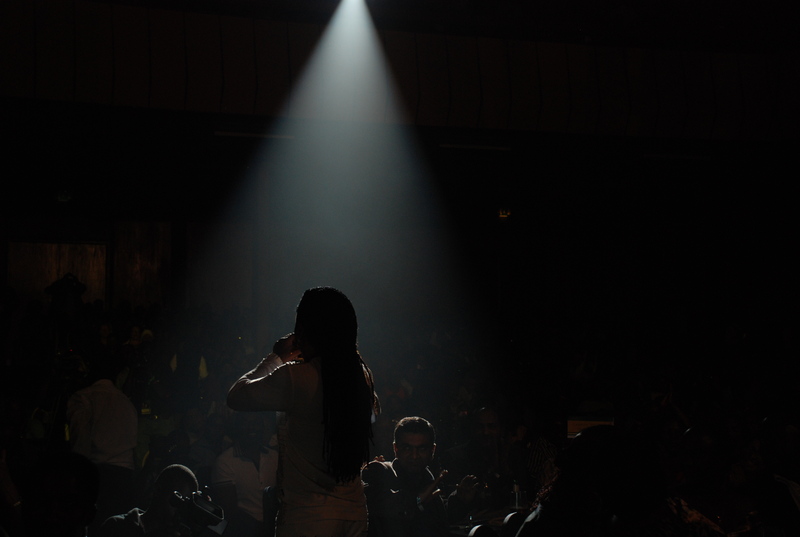 But it was Regina’s crowning performance that brought the house down – performing her own songs which people are familiar with. A Whole New World, a song she did with Peabo Bryson and has won her four Grammy awards got her a standing ovation. Tony Momrelle, who was one of the backup vocalists, fit well in Bryson’s shoes. It was easy to see why he has backed great artistes such as Celine Dion, Janet Jackson and Gwen Stefani. Dreadlocked Meadows, in his snow white attire, also had ladies scream with his cool, chilled-out and smooth jazz served in a love session where he moved closer to the guests, choosing to blow his saxophone for the ladies. On the bass guitar this time round was female bassist Rhonda Smith who replaced our own Tshaka Mayanja (T´Zulu Bass), while accomplished session guitarist Rick Watford was amazing on the lead guitar. No wonder, he has been the favourite guitarist for great artistes such as Beyonce, Luther Vandross, Gerald Albright and currently on tour with Cece Winans. On keyboards was Mo Pleasure, another successful musician who was a member of Michael Jackson’s This Is It ensemble, while Qwela Band’s percussionist Rico Del Monte backed up on the percussions. What a night! Over the weekend at Serena, I attended the annual Jazz Concert by Milege Afro Jazz Band dubbed ‘Repainting Uganda”. 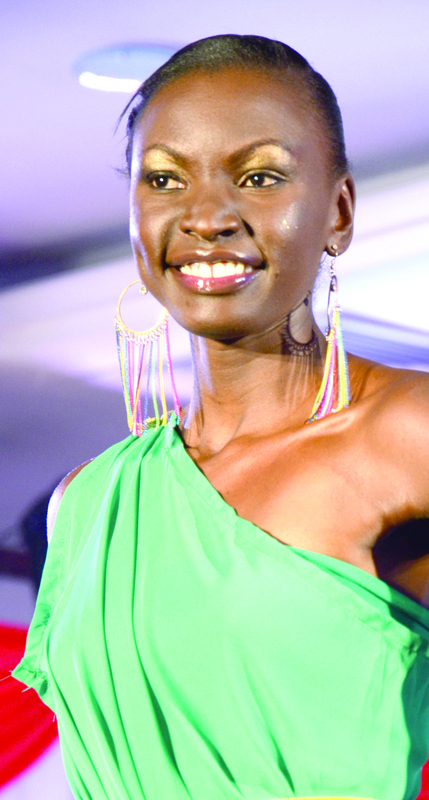 This year’s show themed “Essence of Color” was focused on women in Karamoja. The tour took Milege through Kotido, Nakapiripirit and Moroto and Cathy Namwany, the chosen female artiste, will benefit from Milege’s Artist Education Initiative. A great reason to party with poetry, music, dance, fashion and crafts. 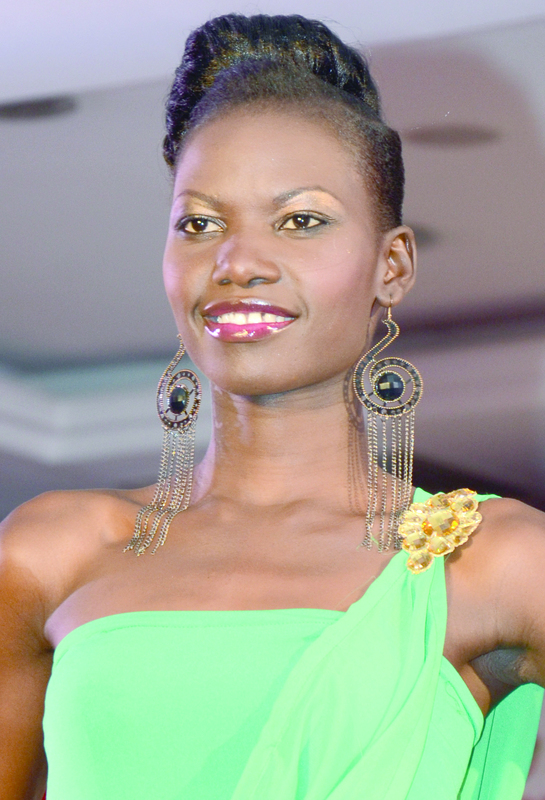 This picture made it to the 1st page of The Observer on Monday September 3rd 2012. Now that’s a big deal here. The paper has been in existence for over seven years but no story or picture from the entertainment scene has ever appeared or led in the newspaper. 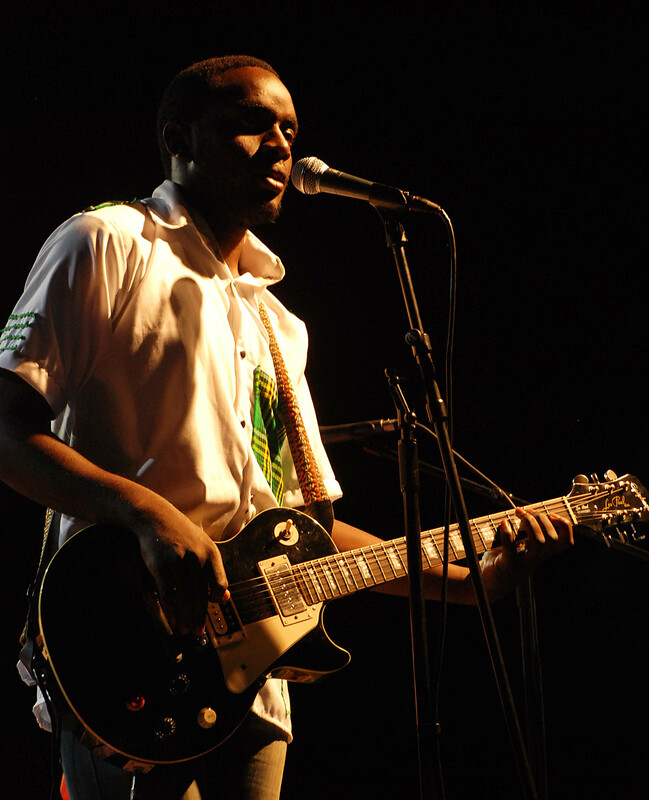 Francis Manana, the band’s lead guitarist. Guitar skills and great voice. 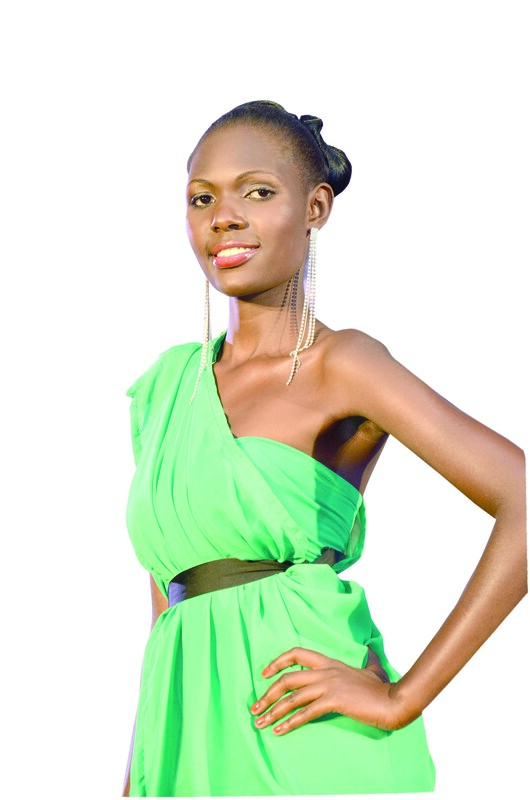 Christina Akugizibwe = Uganda has got talent. Over the weekend, I attended the Break Fast Jam at Sharing Hall in Uganda. 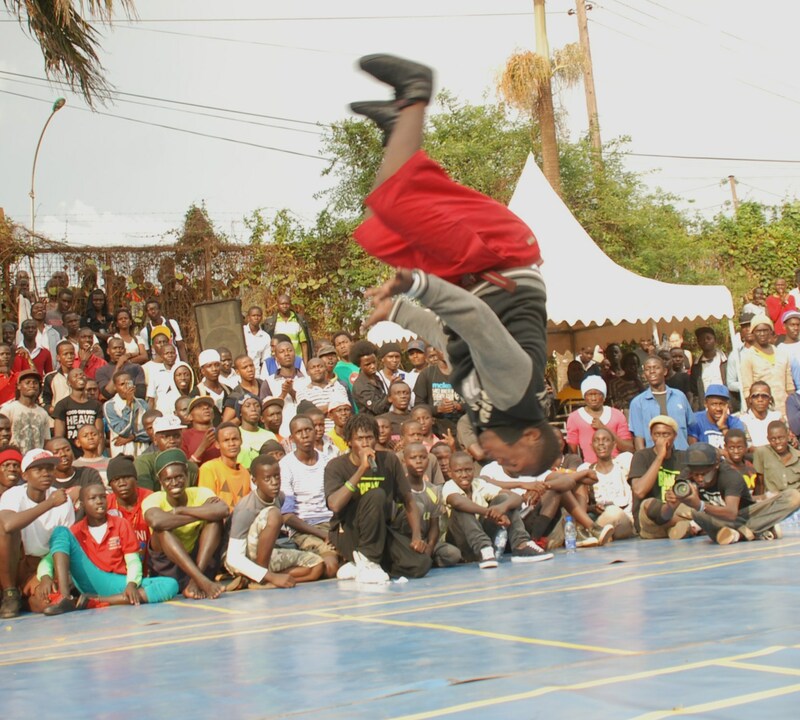 The event organised by Break Dance Project Uganda (BPU) attracted youths from different communities to battle in breaking, popping, Mceeing, 7 to smoke among others. 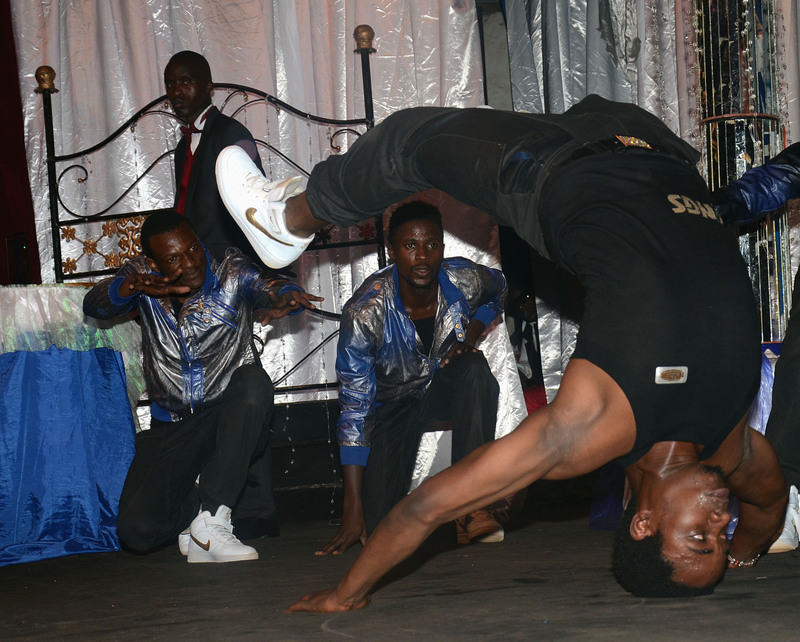 BPU is using Hip Hop to make a positive change on youths in Uganda.